So why does PPM think it can succeed with 1550 where nobody else has been able to do so for many years? The answer comes in just a couple of weeks, when the FCC opens the first of several windows for its “AM improvement” proceedings. Whether or not the whole process will actually improve AM radio, per se, it’s already having a big effect on AM radio owners – and even more so on the owners of FM translators that have been underutilized. When the window opens January 29, class C and D AM stations like WZUM will be able to move translator licenses and construction permits from as much as 250 miles away, but only if they file by July. After that, class B and A AM stations will get their own window, followed in 2017 by another set of windows for brand-new translator licenses on whatever frequencies still remain open. For stations like WZUM, it’s potentially a big opportunity: assuming PPM can find an open FM channel and beat other applicants to it, it could acquire a translator on any commercial channel from as far away as Michigan, Tennessee or upstate New York and secure a presence on the FM dial, restoring the old WDUQ jazz format to many listeners who can’t get the WYZR signal from the western edges of the market. How to make sense of all the sudden opportunities for buyers and sellers, especially as sale prices for translators are on the rise (as you’ll read later in today’s issue)? That’s where we come in: in addition to our weekly column, Fybush Media provides consulting services to broadcasters all over the region – and now we’re launching a new offshoot at TranslatorSale.com to help bring buyers and sellers together. We’ll have the first translators for sale listed at the site later today – and we’re eager to work with you, whether you’re buying or selling, to help you make the most of the big opportunities that this window may offer. *”Hot 97″ and “stable” haven’t been words that go together in NEW YORK radio for a while now, and last week was no different. We start in the PD chair, where Jay Dixon is out after just half a year on the job. While Dixon will continue to consult for Emmis and other clients, Pio Ferro comes on board as PD at WQHT (97.1). Ferro comes to Emmis from Spanish Broadcasting System (SBS), where he was national PD for a portfolio of stations that included WSKQ (97.9) in New York. Down the hall in the air studio, Nessa is the new afternoon jock at Hot 97, making a cross-country move from her current gig with iHeart’s KYLD in San Francisco. At Hot, she replaces Cipha Sounds, who’ll stay on “in other capacities.” Could that be the midday shift, where Big Dennis Rivera was quietly ousted last week after a remarkable 20-year run with WQHT? *With Monday’s launch of WINU (104.9), Albany now has four sports stations, one for each major commercial ownership cluster, and now it’s going three-for-four on country music, too. Townsquare’s WGNA (107.7) is the big gun in the market, of course, and it’s been fending off competition from Pamal/Albany Broadcasting’s WKLI (Cat Country 100.9) for a while. As of last week, there’s a new player in the mix, too: iHeart’s “New Country 99.9.” The new entrant is officially W260CH, a 250-watt relay of WRVE (99.5)’s HD2, and it transmits from the Rensselaer transmitter site of iHeart’s WGY-FM (103.1). *EMF Broadcasting just keeps buying, and having largely run out of markets where it can introduce a first Christian AC or Christian rock format, the California-based company’s current strategy seems to be buying out existing stations in the format. That’s what’s happening in southern MAINE, where EMF is spending $925,000 to buy WMSJ (89.3 Freeport) from Bethesda Christian Broadcasting. When the sale closes, Bethesda’s “Positive FM” format will go away, replaced by the satellite-fed sounds of EMF’s “K-Love.” In the Portland market, K-Love on 89.3 will operate in tandem with EMF’s existing signal, Christian rock “Air-1” on WARX (93.9 Lewiston). The deal also includes WMSJ’s fairly distant translator, W260AS (99.9) in Lawrence, Mass., which will bring K-Love to a piece of the Merrimack Valley. *One of the signature sports voices in MASSACHUSETTS has fallen silent. Bob Wilson was the Bruins on the radio for many years, starting as an analyst in 1964 and then moving to the play-by-play chair starting in 1967. With the exception of two seasons (1969-71), Wilson remained the Bs radio voice until his retirement during the strike-shortened 1994-95 season. His career included the call of the Stanley Cup win in 1972. He was inducted into the Hockey Hall of Fame in 1987 and the Massachusetts Broadcasters Hall of Fame in 2007; in 2011, the Bruins named the radio booth at the Garden after him. The Arlington native, whose real name was Robert Castellon, served in the Air Force and began his radio career in Louisiana before coming home to work at WCOP (1150) early in his career. That’s where he took his mother’s family name as his air name, and where he worked as a top-40 DJ before moving into the world of sports. He died Thursday of lung cancer, at 85. For many decades now, the pecking order of public radio in western PENNSYLVANIA was pretty clear: the classical music on WQED (89.3) and the news and jazz on WDUQ (90.5) split the lion’s share of noncommercial listening – and fundraising – in the Pittsburgh market, while relative newcomer WYEP (91.3) was a niche player, with a loose AAA format attracting a small but loyal group of somewhat younger listeners. So it may have come as something of a surprise when the long saga of Duquesne University’s attempts to sell WDUQ ended abruptly on Friday afternoon with the announcement that the station had a buyer: a new group called “Essential Public Media,” a joint venture between Colorado-based Public Radio Capital (working through a new nonprofit offshoot, Public Media Company) and WYEP. Public Radio Capital has been an increasingly important player in the public radio landscape in recent years, financing station deals as large as the sale of Boston’s WCRB to public broadcaster WGBH. 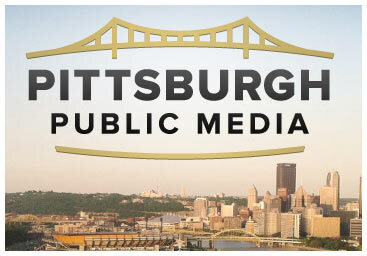 Its involvement in Pittsburgh began last year when a group of local philanthropic organizations hooked up with Pittsburgh Public Media, a new nonprofit created by WDUQ’s current management, to take out an option (with PRC serving as consultant) to buy the station from Duquesne. That option ended up expiring without being exercised, and for the last few months nobody was saying much at all about WDUQ’s future, even as the station was busy moving out of its longtime home and into new quarters elsewhere on the Duquesne campus – a location where its stay will be brief, as it turns out. Once WDUQ’s sale to Essential Public Media closes, the station will get new call letters and a new studio home at WYEP’s relatively new facility on Pittsburgh’s South Side, and Essential will be under no obligation to retain the station’s current staff. Essential says it will seek to build on WDUQ’s local journalism, while WYEP general manager Lee Ferraro says they’ll be “working with the community of jazz lovers in Pittsburgh as well.” The deal includes educational opportunities for Duquesne students to intern and even get jobs at the new 90.5; Duquesne, meanwhile, says it will use the revenue from the station’s sale to fund several new educational programs that fit more closely with the university’s core mission than the radio station did. *There’s a familiar set of call letters returning to Pittsburgh. The WBZZ calls went with “B-94” on what’s now KDKA-FM (93.7) for almost a quarter of a century before being dumped in 2004 when the station went to rock as WRKZ. By the time CBS resurrected “B” in in 2007, the WBZZ calls were in use elsewhere, and of course “B” went away again last year in favor of sports. But when the WBZZ calls became available again last week after their former home in Albany flipped (it’s now 90s-pop “Crush,” WQSH), CBS grabbed them, and now they’re on the station formerly known as WZPT (100.7 New Kensington). No other changes are planned for hot AC “Star 100.7,” CBS says. Meanwhile, there’s a familiar voice disappearing from the Pittsburgh airwaves – well, some of them, anyway, as Terry Lee discontinues his Sunday-night oldies show on WJAS (1320). The veteran Steel City jock is still being heard on Saturdays on WLSW (103.9 Scottdale), at least in the southern half of the market. For talk radio listeners in eastern MASSACHUSETTS, the week ended with two hosts gone from their usual spots – and one familiar voice back on the air at a new location. The familiar voice belongs to Michele McPhee, the newspaper columnist-turned-talk host who’d been doing nights at Greater Media’s WTKK (96.9) until “creative differences” pushed her out of that slot in November. Now she’s on the air at Entercom’s WRKO (680), where she starts today in the 1-3 PM slot that had been home to Charley Manning, who took over middays last spring when Clear Channel moved Rush Limbaugh over to its own WXKS (1200). Manning failed to catch ratings fire (though Limbaugh’s numbers on WXKS have also been far from stellar); will McPhee’s more distinctive on-air personality give WRKO some much-needed traction? Meanwhile in morning drive, Don Imus is now off the air in Boston. He’d already been cut back to just a sliver of morning drive – 5-7 AM – as his Boston affiliate, WTKK, expanded the profile of its local morning show with Jim Braude and Margery Eagan, and as of last Thursday he’s off completely, with “The Jim & Margery Show” now starting at 6, following an extra hour of Phil Hendrie. One of MAINE’s best-known sports voices was silenced early Friday morning in a fire that destroyed his Falmouth home. Frank Fixaris served as sports director of WGAN-TV/WGME (Channel 13) from 1967 until 1992, and had more recently been part of the “Morning Jab” team at WJAE (1440 Westbrook)/WJJB (900 Brunswick)/WJJB-FM (95.5 Topsham). Investigators say the fire was touched off by a cigarette that had not been properly disposed of. Fixaris’ wife was able to escape the fire, but Fixaris, 71, died in the blaze. The “WJAB” stations ran syndicated programming in place of the “Morning Jab” show on Friday, after learning of the news; at press time Sunday night, their website had been converted into a tribute to Fixaris. In MASSACHUSETTS, WAVM (91.7 Maynard) founder/advisor Joseph P. Magno appeared in court Friday for hearings on the charges that he raped an underage male student at Maynard High School. During the hearing, evidence emerged accusing Magno of molesting at least four other Maynard High students, some as long ago as 1980. Magno was taken to Emerson Hospital after the hearing, where he’s being treated for ongoing medical problems. Meanwhile, WAVM itself returned to the air late last week, as school officials assembled a team of parents and community volunteers to oversee the operation of the station. Until further notice, two adults will be present at all times when students are at the station. There’s no word on how the Magno arrest has affected Maynard’s consideration of the settlement offer from Living Proof in the ongoing fight for the station’s survival; we’ll keep following this story closely. A coastal NEW JERSEY FM station is working towards a better signal over Atlantic City and southern Ocean County. Press Communications’ WKOE (106.3 Ocean City) has filed its application for its new 106.5 Bass River Township facilities, which will be on the WWSI (Channel 62) tower in Tuckerton. The class A station will operate with 1.45 kW/682′ from that site, if the application is granted. Just in to NERW, there’s word of two radio sales, one big and one not so big, that promise some change on the region’s dial. The big one is the sale of all of Citadel Broadcasting, which is being acquired by investment firm Forstmann Little & Co. for about $2 billion. Citadel’s holdings in the region include major clusters in Maine (Portland, Augusta/Waterville, Presque Isle, and Calais), New Hampshire (more of the former Fuller-Jeffrey group on the Seacoast), Rhode Island (WPRO AM-FM, WWLI, and three others, plus WBSM/WFHN in New Bedford), Massachusetts (WXLO and three others in Worcester), Connecticut (WSUB/WQGN/WAXK in the New London market), upstate New York (the former Pilot group in Syracuse and Ithaca, the former Mercury stations in Buffalo, and the former Wicks cluster in Binghamton), Pennsylvania (Scranton, Allentown, and Harrisburg), and New Jersey (Atlantic City). The not so big one is the sale of Carter Broadcasting’s WROL (950 Boston). NERW hears that WROL is being sold to Salem Communications, which will pair the station with its WEZE (590 Boston). This isn’t the first time Carter has tried to sell WROL; the proposed sale of the entire Carter group (except WCRN Worcester) to Catholic Family Radio in 1999 fell through when CFR was unable to close the purchase. It’s also not the first time WEZE has had a partner on the Boston dial; Salem paired it with WPZE (1260) for a year or so after WEZE moved from that 1260 spot to 590 in 1997. Could 950 become the “new WPZE”? The Clear Channel radio empire is about to add another radio station to its Boston cluster, in a sale that looks as though it will put to rest years of speculation about the future of Framingham’s AM radio voice. Fairbanks Broadcasting has filed to transfer its last station, WKOX (1200 Framingham) to “Capstar TX Limited Partnership,” the name under which Clear Channel has been doing much of its acquiring lately. WKOX has been at the center of Boston radio’s rumor mill for the better part of the last decade, it seems; from an abortive attempt by what was then Westinghouse to pair the station with WBZ to a proposed sale two years ago to Edward Karlik’s “B-Mass” partnership. WKOX’s sister station, then known as WKLB (105.7), was sold to Evergreen and then to Greater Media back in 1996, leaving WKOX hanging with leased-time foreign language programming. With the death of station owner Richard Fairbanks last year, some sort of change was probably inevitable. So what happens next? WKOX will join adult standards WXKS (1430 Everett), urban CHR WJMN (94.5 Boston) and CHR WXKS-FM (107.9 Medford) in the Clear Channel/Boston stable. Will WKOX begin running Clear Channel’s Fox Sports Radio format, following in the path of other recent Clear Channel AM flips? Could WXKS(AM) join in as a simulcast? And what of WKOX’s proposed move to Newton and the WUNR(AM) transmitter site? Our NEW YORK news this week starts with the imminent return of a station that’s been silent since Thanksgiving. WSIA (88.9 Staten Island) is owned by the City University of New York’s College of Staten Island, and it’s the only radio station the borough has. But when the T1 line that connects the WSIA studios to the transmitter on Todt Hill failed in November, WSIA managers discovered that the tower the station uses now belongs to the state Department of Environmental Conservation. The DEC bought the land from a group of friars called the Order of Minor Conventuals, which had leased space on the tower to WSIA for 19 years. The sale contract, though, specified that the tower could only be used for “religious, non-commercial broadcasts” — so the DEC refused to allow Verizon to enter the property to fix the balky T1 line. After more than a month of negotiations, the DEC finally relented last week, we’re told — but WSIA is still waiting for Verizon to get the T1 working again so that its broadcasts can resume. At the other end of the Staten Island Ferry, it was the end of an era last week when Vin Scelsa did his last show on WNEW (102.7 New York). Scelsa’s freeform “Idiot’s Delight” was the last vestige of WNEW’s old music format, and both sides agreed not to seek a renewal of his contract when it ran out. So while WNEW fills those overnight hours with talk-show reruns, Scelsa’s reportedly headed to WFUV (90.7) to keep doing his thing in the noncommercial world.